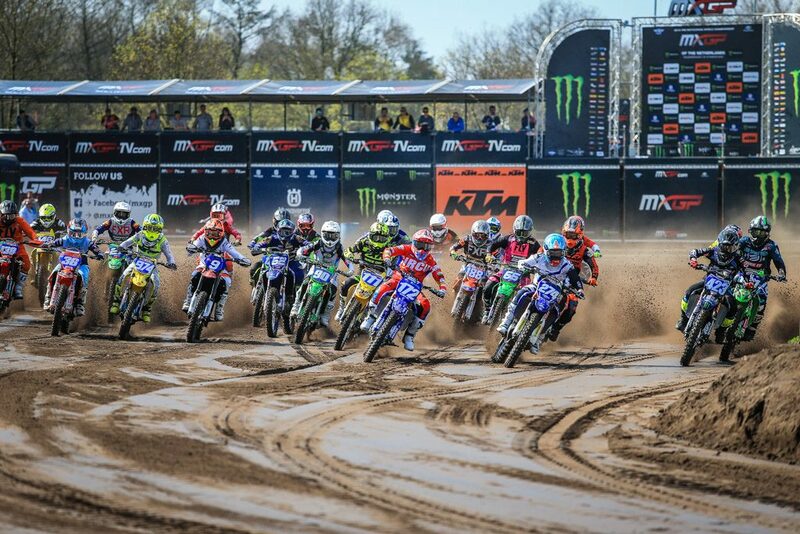 VALKENSWAARD (The Netherlands) 31 March 2019 – The first round of the 2019 FIM Women’s Motocross World Championship has concluded after two days of racing at the Valkenswaard circuit of the Netherlands. It was Amandine Verstappen who took the Valkenswaard victory along with the first overall win and red plate of the new season for the very first time in her career. A full entry list left 39 of the world’s best Women Motocross racers to line up on the sandy Dutch circuit. Though early in the year the weekend had nearly perfect weather and track conditions which developed to challenge all by the final checkered flag. Alongside the qualifying races of MXGP and MX2, plus the first race of EMX125 presented by FMF Racing, the women started their season on Saturday, March the 30th. The first race and day of the 2 day-2 race format was a showing of speed by newly signed BIKE IT DRT Kawasaki rider Courtney Duncan. When WMX Race 1 started off Amandine Verstappen took the holeshot ahead of MXFONTA RACING Yamaha’s Larissa Papenmeier and the rest of the field. Duncan was third but made quick moves to get by Papenmeier in lap 2 then take the lead from Verstappen one lap later. Moving forward throughout the 11 laps were Nancy Van de Ven and Shana Van der Vlist. Moving from 8thto 4thwas a strong ride for Van de Ven after a bad start but even more impressive was Van der Vlist’s comeback from 12thup to 5th. Race 1 was won by Duncan 6.6 seconds ahead of Verstappen who had Papenmeier only a tenth of second further behind in 3rd while Van de Ven and Van der Vlist took the final to spots among the top 5. Today’s race 2 was in slightly cooler temperatures and a rougher track but Courtney Duncan was quick to take the Saturday momentum onward and lead from the beginning. A better start from Van de Ven put her in a position to apply pressure to Duncan while Verstappen and Papenmeier gave chase to both. At the finish it was a race win for Van de Ven but Verstappen’s pair of 2ndplace finishes was both too strong and too consistent to be beat in the overall result. Duncan recovered to 7thbut finished 4thoverall behind Verstappen Van de Ven and Papenmeier. The Women will now prepare for round 2 of the 2019 FIM Women’s Motocross World Championship scheduled for the MXGP of Portugal on the 18thand 19thof May in Agueda. WMX Race 1 Top Ten: 1. Courtney Duncan (NZL, Kawasaki), 24:47.429; 2. Amandine Verstappen (BEL, Yamaha), +0:06.661; 3. Larissa Papenmeier (GER, Yamaha), +0:06.762; 4. Nancy Van De Ven (NED, Yamaha), +0:40.317; 5. Shana van der Vlist (NED, KTM), +0:42.462; 6. Sara Andersen (DEN, KTM), +0:45.841; 7. Lynn Valk (NED, Yamaha), +0:54.902; 8. Nicky van Wordragen (NED, Yamaha), +0:58.314; 9. Meghan Rutledge (AUS, Kawasaki), +0:59.382; 10. Anne Borchers (GER, Suzuki), +1:27.155. WMX Race 2 Top Ten:1. Nancy Van De Ven (NED, Yamaha), 25:00.931; 2. Amandine Verstappen (BEL, Yamaha), +0:08.011; 3. Larissa Papenmeier (GER, Yamaha), +0:13.410; 4. Shana van der Vlist (NED, KTM), +0:57.730; 5. Line Dam (DEN, Honda), +1:11.635; 6. Lynn Valk (NED, Yamaha), +1:12.584; 7. Courtney Duncan (NZL, Kawasaki), +1:20.931; 8. Meghan Rutledge (AUS, Kawasaki), +1:22.971; 9. Nicky van Wordragen (NED, Yamaha), +1:24.765; 10. Mathilde Martinez (FRA, KTM), +1:53.374. WMX Overall Top Ten: 1. Amandine Verstappen (BEL, YAM), 44 points; 2. Nancy Van De Ven (NED, YAM), 43 p.; 3. Larissa Papenmeier (GER, YAM), 40 p.; 4. Courtney Duncan (NZL, KAW), 39 p.; 5. Shana van der Vlist (NED, KTM), 34 p.; 6. Lynn Valk (NED, YAM), 29 p.; 7. Line Dam (DEN, HON), 26 p.; 8. Meghan Rutledge (AUS, KAW), 25 p.; 9. Nicky van Wordragen (NED, YAM), 25 p.; 10. Virginie Germond (SUI, KTM), 18 p.
WMX Championship Top Ten: 1. Amandine Verstappen (BEL, YAM), 44 points; 2. Nancy Van De Ven (NED, YAM), 43 p.; 3. Larissa Papenmeier (GER, YAM), 40 p.; 4. Courtney Duncan (NZL, KAW), 39 p.; 5. Shana van der Vlist (NED, KTM), 34 p.; 6. Lynn Valk (NED, YAM), 29 p.; 7. Line Dam (DEN, HON), 26 p.; 8. Meghan Rutledge (AUS, KAW), 25 p.; 9. Nicky van Wordragen (NED, YAM), 25 p.; 10. Virginie Germond (SUI, KTM), 18 p.
WMX Manufacturers:1. Yamaha, 47 points; 2. Kawasaki, 39 p.; 3. KTM, 34 p.; 4. Honda, 26 p.; 5. Suzuki, 17 p.
WMX was available across the board in high definition and is also globally available to view live and in HD on MXGP-TV.com. Click here for the complete list of countries and cooperating MXGP broadcasting networks.